Speaking about fruit and vegetables that your students like. 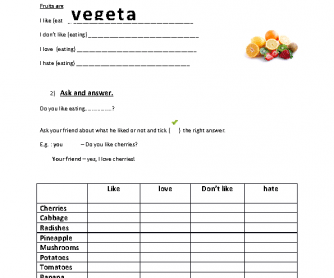 In the second exercise, your students have to ask questions to learn about other person's likes and dislikes about fruit and vegetables. 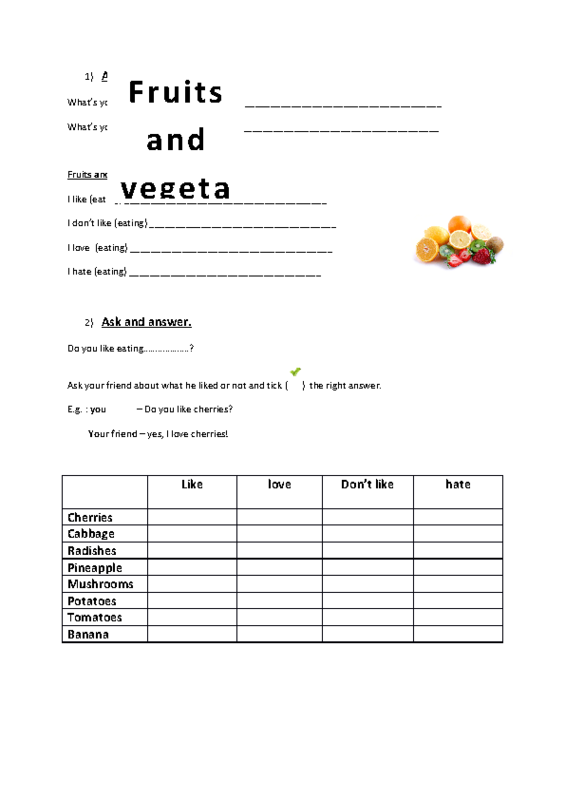 You use this worksheet with small groups or with a class of 20-25 students. They can do the second exercise in pairs.